Each of the three views on the origin of globalization provides a competing perspective on how, when, where, and/or why this process and phenomenon of closely integrating nations, cultures, and people of the world began. In other words, these views help put in perspective the discussions and debates, as well as research about the causes and factors of globalization. Globalization is a consequence of modernity. Under the modern phenomenon view to be specific, globalization is a recent phenomenon stemming from the Western ideologies of capitalization and recent technological developments. This perspective also focuses on the primary role played by multinational enterprises and governments in leading and driving business and economic trends, as well as creating global homogeneity by eroding specific cultures and traditions. From a historical evolution perspective, globalization is nothing new and it has always been part of human history. Ancient cities were involved in cross-border trades. The existence of ancient trade networks such as the Incense Route that connected East Asia with India and Arabia, and the Silk Road that connected the East and the West demonstrated exertion of economic and cultural influence across different countries. Western imperialism and colonialism, the Islamization beyond the Arabian Peninsula, and the dynastic expansion of China are also examples early attempts at globalization. With the dominance of free market and capitalism after World War II, the internationalization of different companies marked another attempt toward globalization. Like the swing of a pendulum, globalization swings back and fort, and has its ups and downs. For example, after World War II and during the Cold War, communist countries such as the former Soviet Union, China, and North Korea closed down their economies from the global trade in their attempt to promote self-sufficiency. However, during the same time, countries such as Hong Kong, Taiwan, Singapore, and South Korea, became trading hubs. 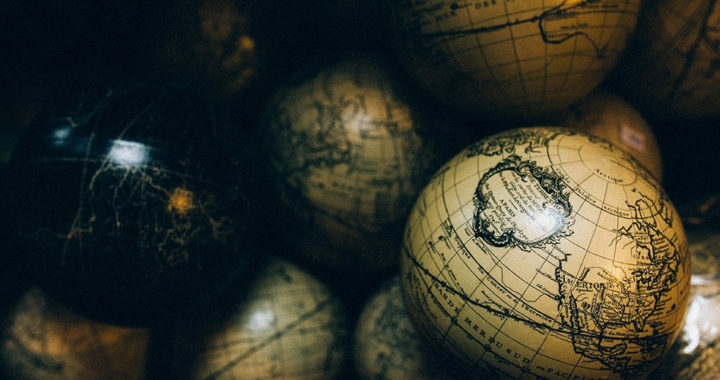 Today, while globalization is an ongoing phenomenon, there are existing clamors toward economic and cultural nationalism. In other words, the pendulum view on the origin of globalization argues that the process of globalization is not recent and one-directional.